Rob and Jayne Fraser embody the philosophy that family is the cornerstone of life. With five children, 2 boys and 3 girls, the Fraser’s practice personally what they provide professionally – namely an atmosphere of love and compassion. The Frasers opened Care to Stay Home in Spokane in 2008. They provide a stable, loving service to assist the elderly with a wide range of non-medical services that are necessary to stay safely in their home. Both Rob and Jayne are highly capable. With a wealth of experience and an innate gift of visualizing like-minded care, they meet with families and/or clients to ascertain an individual plan of care that will work best in each unique situation. This initial meeting is critical in assessing the needs of the family and assigning the right caregiver thereby minimizing the need for any changes. Matching the right caregiver to the client is crucial to establishing a relationship that begins the continuity of care that is very important throughout the outcome. The Fraser’s important gift of foresight brings comfort and trust to each family served. Before opening Care to Stay Home, Rob and Jayne thoroughly researched the industry. They added key elements to their care program that others do not offer. Very often, at other agencies, they found clients as well as caregivers treated as numbers with an assembly line attitude toward their care. The most important focus for the Fraser’s is that clients and families get the personal care they deserve. They also have specific expertise that makes them a dynamic team that blends knowledge, experience, and compassion. 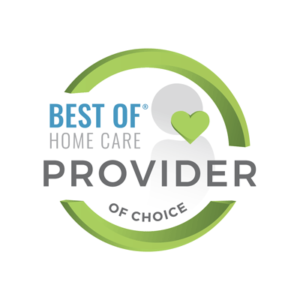 Both Rob and Jayne have empathy and love for people giving them the ability to go into a situation, assess the needs, and put forth a working plan of action for in-home care. Rob and Jayne are people of faith and inner strength. The love that shines through them in their family life and in their Care to Stay Home business is evident in the high level of attention they provide. They truly care. Rob has been in long-term health care since 1994 and was drawn toward personal care because of the opportunity to assist the ill and aged in a one-to-one capacity. He is a trained EMT and has a bachelor’s degree in Health Care Administration and an MBA in Health Care. He is also a licensed nursing home administrator. Prior to Care to Stay Home, he was an administrator to skilled nursing facilities and senior communities. Jayne has a degree in sociology from BYU with an additional focus on accounting. Studying society and understanding people’s motivation fuels her love and fascination of people. Jayne always wanted to be a mom and her passion, along with her family, is serving people. Jayne is equipped to handle any of life’s crises with dedication and commitment. She is both sensitive and strong which comes in handy when she has to keep it together in a crisis. Her sensitivity and strength is a great benefit for Care to Stay Home clients. Her plans include possibly pursuing her master’s degree in social work and counseling. Serving a mission in Washington DC for his church after graduating from high school shaped Rob’s life. This experience taught him to serve people and changed the direction of his life. He believes that serving others takes your mind off yourself and that the focus and foundation of his life, and now his Care to Stay Home business, is service to others. Rob is a high achiever, unafraid of taking chances. 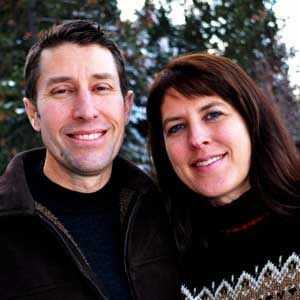 He loves rafting, skiing, mountain biking, and sports, and involves his family in his many activities. Rob loves being a dad and he earned a prestigious Eagle Scout honor. Family is vital to him and Jayne. Jayne is dedicated to her children and plans to take a large and active role in the lives of future grandchildren. One day, when her children are settled and on their own, Jayne looks forward to traveling. She loves to read historical fiction.